Viknesh Vijayenthiran September 12, 2012 Comment Now! 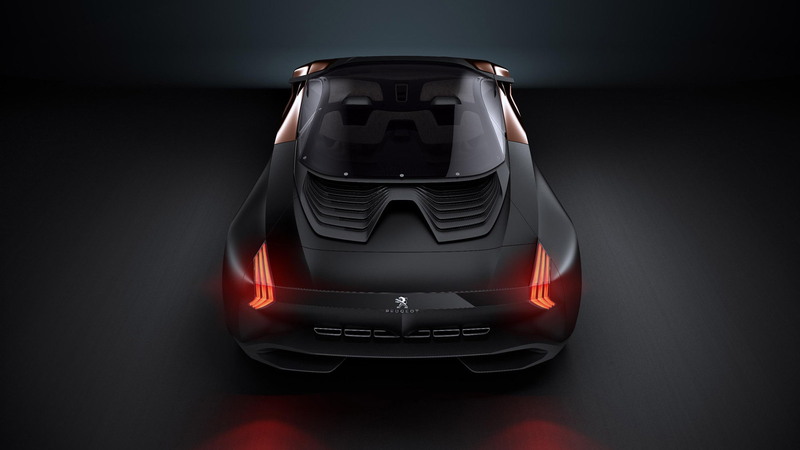 Peugeot has unveiled a sinister looking supercar concept that will be debuting this month at the 2012 Paris Auto Show. 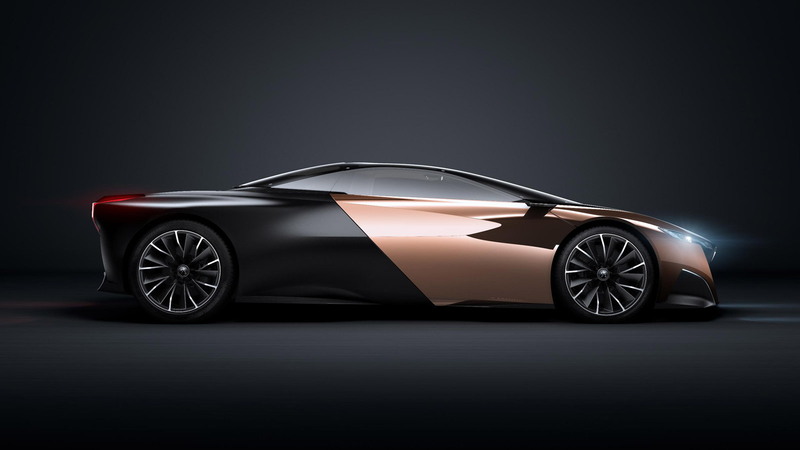 Labeled the Onyx, the new concept builds on other performance-oriented show cars unveiled by the French automaker in the recent past, such as SR1 convertible and EX1 electric racer, and has been built to explore the use of new materials in vehicle production. The vehicle has been built using materials that have been processed as little as possible. They include aluminum, carbon fiber, PMMA (PolyMethyl MethAcrylate), copper and even felt. 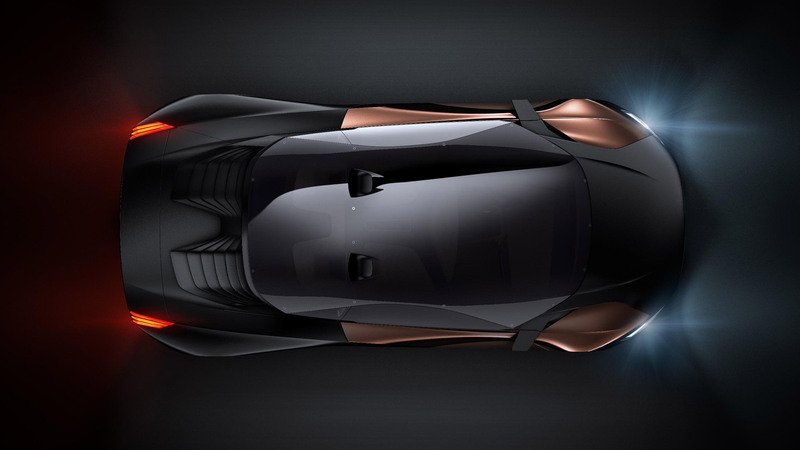 The chassis is a carbon fiber monocoque and weighs just 220 pounds. It’s one of the main reasons the total weight of the Onyx is only 2,425 pounds. Power comes from a mid-mounted 3.7-liter V-8 turbodiesel, developed with the help of Peugeot’s motorsport arm, Peugeot Sport. Cooled by ducts which begin at the roof via NACA take-offs, the V-8 transmits its 600 horsepower to the rear wheels via a six-speed sequential gearbox. For added performance, Peugeot designers have also added their company’s HYbrid4 system. The latest version of the system uses a kinetic energy recovery system to charge up an array of lithium-ion batteries. These batteries are used to power an electric motor that sends an additional 80 horsepower to the front wheels, coming online automatically when the Onyx is accelerating. The suspension features double wishbones front and rear, and the wheels are 20-inch units shod with specially developed Michelin tires measuring up to 345/30 at the rear. Braking is provided by four carbon discs. One of the Onyx’s most distinguishing features is its interior. Made of felt, compressed and stretched, the cabin is formed as a one-piece pod, with no stitching or joins. It creates a real cocoon around the occupants and fitted into the carbon structure, visible in places, it replaces a number of elements found in regular cars: soundproofing, floors, dashboards, roofs, and seats. To make the seats, for example, designers simply inserted foam padding under the felt. The best part is that felt is not only quite flexible to use, it’s completely renewable as it’s made from wool. The dash, meanwhile, is made from old newspapers that have been compressed to form a hard material that, believe it or not, resembles wood. If you take a close look at the dash, Peugeot says you’ll even notice some of the original newspaper print. 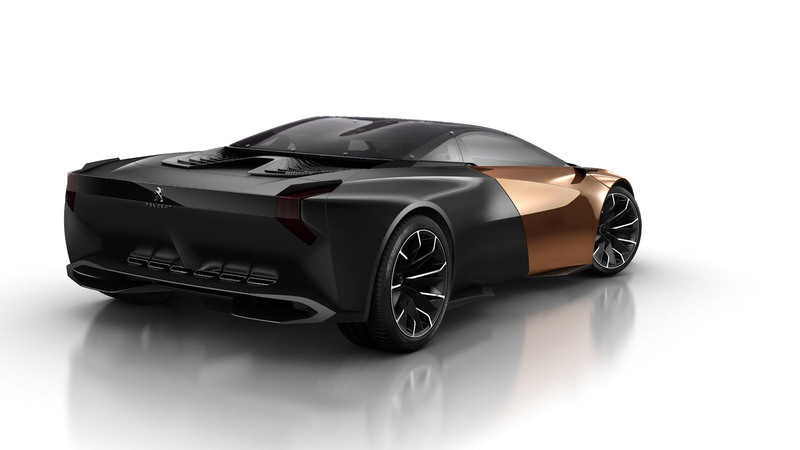 Sadly, Peugeot stresses that the Onyx is simply to showcase the talents of its design team and preview new materials and construction techniques that could be making their way into future cars. 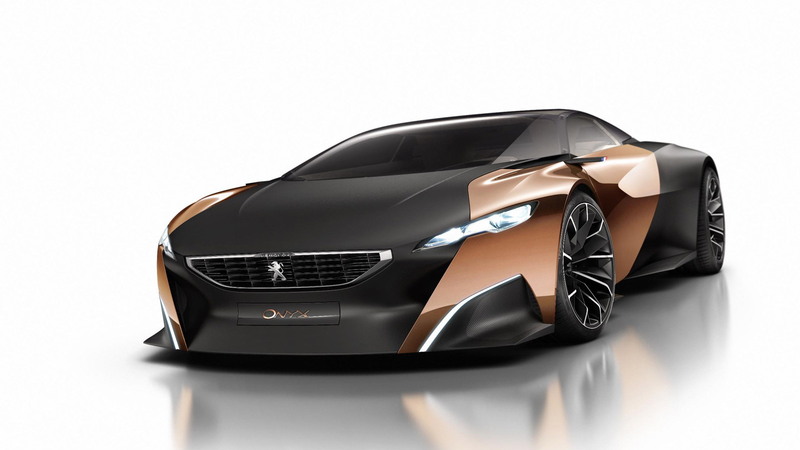 You can take this to mean that there are no production plans for the Onyx, though given Peugeot’s current financial state it’s understandable.